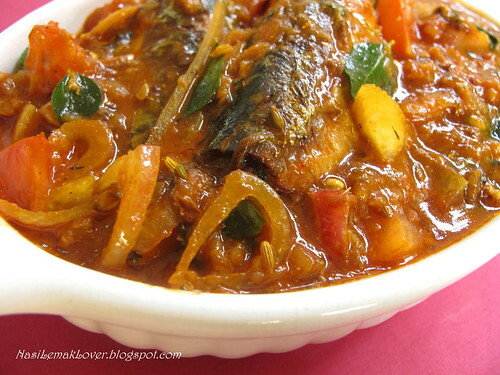 I learnt this canned sardine fish curry from my Indian friend, simple and delicious curry. 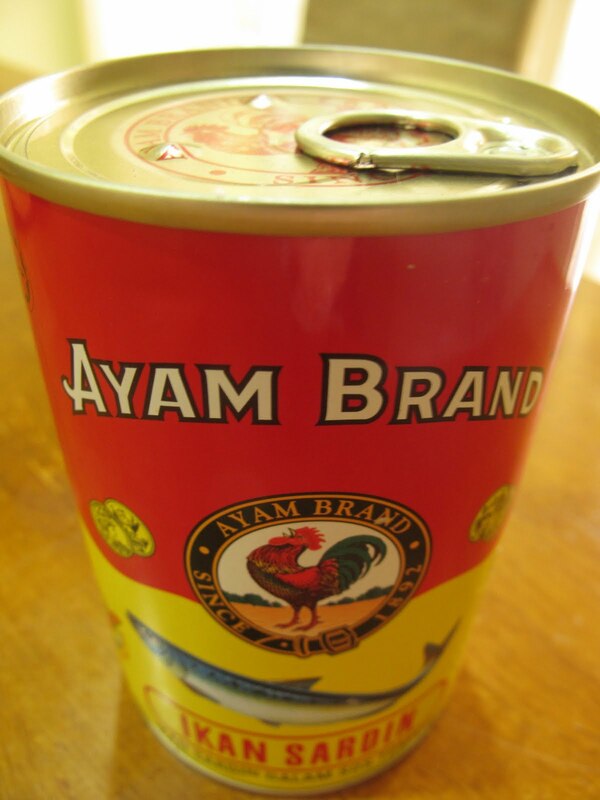 This is my favourite brand of canned sardine, what is your favourite brand? 2. Pan fried sardines (without oil) in a non-stick pan, till both sides turned brown, set aside. 3. Heat oil in a wok, add in ginger, garlic and onion paste and curry leaves, stir fry till fragrant. 5. Add in the canned sardine’s tomato sauce and water, add in the seasonings. 6. Once sauce boiled, add in the pan fried sardines, cook for 1min. 7. Add in chopped tomato and onion slices, cook for another 1min. Mmmmm this curry looks delicious!! I just love the thickness of this curry. yummm... this is a must try recipe. Thanks for sharing. I also cook fish curry using canned sardine, it's so conveninent and tasty. I added addtional veggie. Yep! I learn similar from my Indian friend too. I use canned sardines (not in tomato sauce though). So I have to use fresh tomatoes to cook up a light curry from scratch. In fact, I just cooked it today again. I know it is DELICIOUS. Seems like an easy enough dish to cook up when run out of ideas what to cook. :) Thanks for sharing this. They look amazingly good and so easy to make for a dinner, I will try this definitely, thank you!!!! 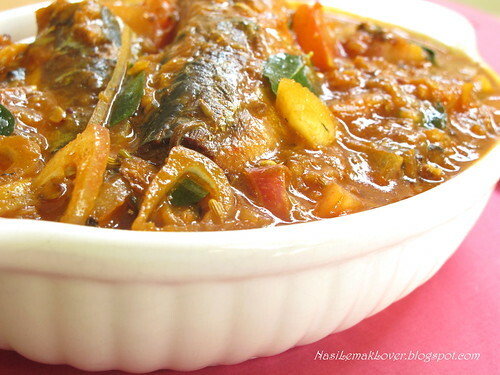 Wow, your sardines curry has so many ingredients, bet it tastes good. The pics speak for themselves! Oh yum I love sardines... I'm bookmarking this! Thanks Sonia! WOW! Very tempting. I want to sandwich this with bread! Now, I need a huge huge plate of white steamed rice and I wll be happy! This is my favorite brand too! Wow, this is nice for a change from the usual canned sardine...I'll try this when my in-lawas are not around! (They have the very traditional Hokkien taste buds--couldn't stand the "indian" smell) Maybe I could even convert my hubby into liking sardines, coz he loves curries! I never had sardines - only anchovies! But my Grandpa sure loves them - used to eat them right out of the tin. I bet he would love this! This dish remind me of home. I didn't have this in a long long time. My mom used to cook this for us and she used the same brand of sardin. I don't think we can find it here. The best we can get here is the Lido brand. I used to cook this but totally forget about this recipe , thanks for reminding me . I need to cook it one day . 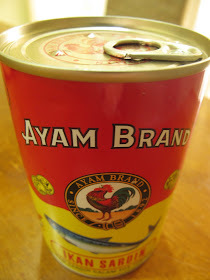 My favourite is ayam brand too! I like this brand too! Looks delicious! I sometimes cook sardines with some tomyam paste...also very delicious. I have never seen canned sardine that big! Looks very comforting, esp. for a curry fan like me! My mom cook in this way too, but I have not try this way. Oh, I'm definitely going to try this! I had some fish curry gravy with some roti canai on my last trip and I noticed that the fish used was sardines and so I'm very happy you posted this! Dear all, Thanks for your kind words, do try out this, this is good. I tried this dish, it was delicious like the taste of the gravy from one of roti prata we usually visited in Tampines Century Square. My five year grand daughter loved it. The curry looks great..only one thing missing to make it awesome and exactly like the home-cooked indian sardine curry..POTATOES...soft, melt in your mouth, curry infused potatoes..hmmmmm... :) thanks for sharing!! This brings back memories of my childhood about 30 odd yrs ago...it used to be sardine curry in my house at month end before salary day but it's a delicious dish with rice and rasam(pepper soup).Yummy! Yes I agree-potatoes makes this dish even more special. I tried this recipe. Awesome! I had three servings. I have never tried sardines before.I made this curry tonight. I could not find sardines in tomato sauce so I used the ones I got here in hot sauce. Also instead of soy sauce I added tamarind sauce because I am Indian and that's what my South Indian boy friend prefers in his fish curry and before adding to the pan I pureed the tomato, onion, ginger and garlic. I also added madras curry in stead of fish curry powder because I did not have any on hand. In spite of all the above differences it smells and tastes so good! Thanks for this recipe. 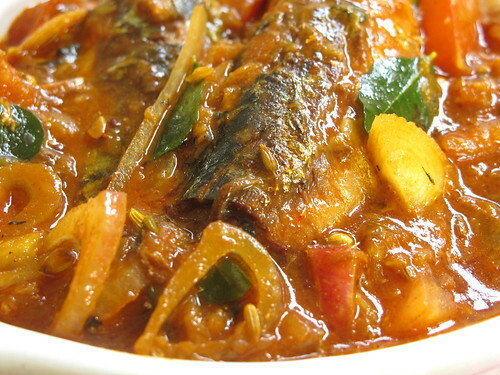 Would love to send you a pic of my sardine fish curry. eclipse is visible is at most 167 miles wide. As you can see better. 5mm headphone jack and flimsy power button on its head. I may not be able to respond to all of your comment individually due to time constraint, but I do appreciate for every comment left by all of you. Thanks for visiting! Please identify yourself if you are under Anonymous so I know how to address you.